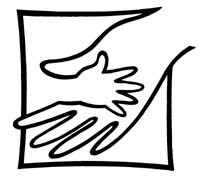 Effective ministries for all kinds of families include not only marriage preparation and enrichment, but also relationship education for children, youth, and young adults; parenting training and support (for single as well as married parents); and specialized supports for step-families, those involved in elder care, and those in transition and/or crisis (such as unemployment, addiction and other illnesses, relationship breakdown, and divorce). These needs exist in every congregation and community. Below you will find descriptions of some upcoming events and opportunities.